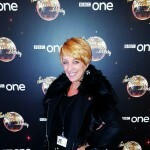 With 30 years of professional dance experience, Jenny has worked in almost every genre of dance. From Classical Ballet, Tap and Musical Theatre to now being one of the worlds top specialists in Swing, Lindy Hop, Charleston and Authentic Jazz Dances from 1920’s, 30’s & 40’s. Guest Choreographer for both ‘Get On The Floor’ UK Tour starring AJ Pritchard and UK Tour of ‘The Ballroom Boys’ with Ian Waite & Vincent Simone. 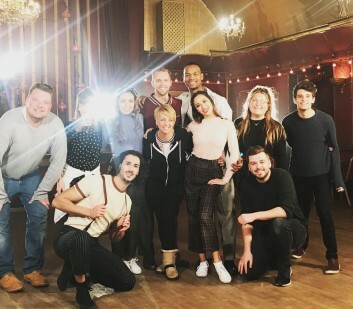 This past series of BBC’s Strictly Come Dancing she choreographed several Charleston and Salsa routines including the top scoring Charleston with Faye & Giovanni ‘The Lonely Goatherd’ for Musicals Week. Plus choreographing Lindy sequences for all the couples on the first ever “Lindy-Hop-A-Thon”. In the Finals she collaborated with Dianne Buswell’s to create an epic ‘ShowDance’ routine for her and Joe Suggs. Some of her past memorable routines include Oti Mabusi and Danny Mac’s “Puttin On The Ritz” Charleston and Ed Ball’s & Katya Jones’ ‘Gangnam Style’ Salsa and the winning toy soldiers Charleston for Katya Jones and Joe McFadden, amongst numerous others. More of Jenny’s work can be seen in the upcoming Stephen Poliokof’s new drama ‘Summer Of Rockets’. Coming to your TV in 2019. Jenny also travels the globe teaching Lindy Hop, Charleston and Authentic Jazz Masterclasses at many of the largest International Swing Dance Events in the world.